Duvel. The iconic Belgian ale. Inspired by Scottish ales of the time, it started life in 1923 as a dark beer and stayed that way until 1970, when the Moortgaat brewery opted to use paler Pilsner-style malts to create the beer I hold before me today. Ritualistically poured into the distinctive Duvel tulip, shimmering golden haze is contrasted against thick, pure white head. Bubbles effervesce from the etched ‘D’ in the bottom of the glass as if I’ve tossed in an Alka Seltzer. Museli, breakfast cereal-like smells are punctuated by hints of pear and orange zest. A snap of perfume from the Saaz hops demands to be noticed. As I drink, pear drop sweetness moves seamlessly into apple sourness, before fading into the signature Belgian dry white wine finish that leaves you gasping for more; truly the devil’s work. 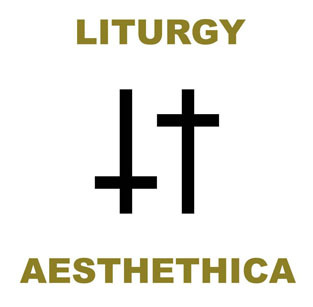 For all intents and purposes, Liturgy is a black metal band. Tremolo-picked guitars, blast beats and shrieked vocals seem to tick the relevant musical boxes. However, the black-hole nihilism that is a key – some would argue essential – component of more traditional black metal is consciously replaced on ‘Aesthethica’ with a soaring, transcendental outlook that drags the form screaming into the sunlight. And there are some orthodox black metallers who are not happy about being taken there – especially by a band from New York that kinda look like The Strokes. Raw and exuberant, ‘Aesthethica’ builds on what previous album ‘Renihilation’ established: a life-affirming, relentless onslaught of sublime, harmonious joy. This pairing has been partly inspired by the tedious, circuitous discussion and pointless pontificating that seems to be dominating beer talk in the UK at the moment. I need to escape this cycle of ludicrousness and return to what I know is good in beer. Duvel was a gateway beer for me. I knew Duvel was good before I even knew what good beer was. Drinking it reminds me of a time when I was on the cusp of discovering a world of unknown complexity and intense, glorious flavours. Wide-eyed and eager, and without a guide, I stumbled innocently into an incredible world that captivated and enthralled. I need something to take me beyond the petty quarrels of man and up above the clouds to the edge of space. Liturgy can take you most of the way there, but to burst through that final barrier of airborne mist and vapour sometimes something more is required. This evening it is Duvel that helps take me there. There is something shared between this beer and this music. The white and gold artwork of 'Aesthethica' is echoed in the glass. Religious symbolism adorns both beer and album. They are united by an almost whimsical, celebratory attitude that masks intensity and focused, studied precision. What once was dark has now become light. Great post! 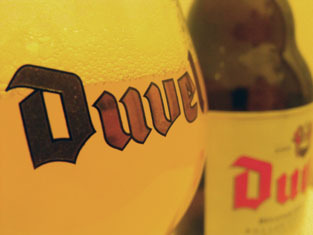 It's got me seriously craving a Duvel (a beer I've never really enjoyed but always feel I should love).